We are rapidly approaching the release of Justice League in theaters. Coming off the massive success of Wonder Woman, DC fans are hoping for the best here, and so is Warner Bros. The movie has had some trouble, with Zack Snyder having to leave the production over a personal tragedy, making way for Joss Whedon (The Avengers) to step in at the last-minute and finish the movie. Ben Affleck recently talked a bit about how that will affect the movie and, according to him, Justice League is unlike anything he's ever experienced before. The actor, who plays Batman in the DC Extended Universe, recently spoke with Entertainment Weekly about the two director situation on Justice League, which is set to arrive in theaters on November 17. According to Ben Affleck, the movie will truly be a product of both directors, with both seemingly having quite a bit of influence over the final cut. Here's what he had to say about it. "It's a little bit unorthodox. Zack had a family tragedy, and stepped off, which was horrible. For the movie, the best person we could've possibly found was Joss. We got really lucky that he stepped in. It's an interesting product of two directors, both with kind of unique visions, both with really strong takes. I've never had that experience before making a movie. I have to say, I really love working with Zack, and I really love the stuff we've done with Joss." 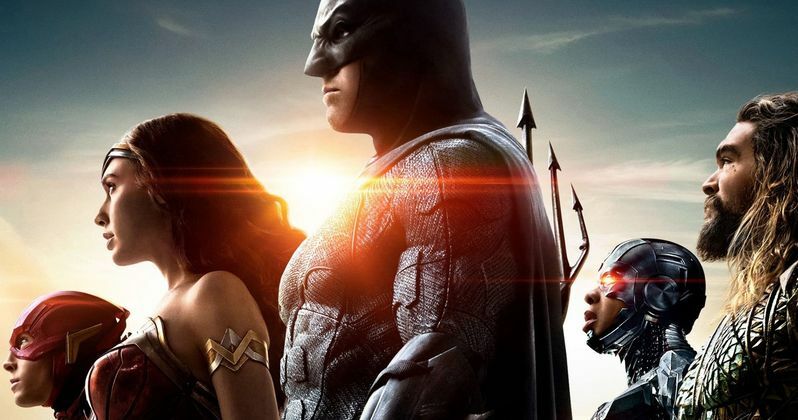 Initially, it seemed like Joss Whedon was going to just put some finishing touches on Justice League and get the movie done in the editing room, but that turned out not to be the case. The movie has been undergoing significant reshoot, which are said to "lighten up the film." Though some have felt these reshoots are cause for concern, Ben Affleck is doing his best to inspire confidence in everyone. As he tells it, he's literally never made a movie where reshoots didn't take place. "I've never worked on a movie that didn't do reshoots. Argo, we did reshoots for a week and a half! Four days on Gone Baby Gone! This is a really nice time to work in DC. They're hitting their stride. They're getting it right. It's starting to feel like it's really working." Considering how successful Wonder Woman was, DC really could be hitting their stride. If they can make the best of these reshoots and deliver the Justice League movie that fans are hoping for, the sins of Batman V. Superman: Dawn of Justice and Suicide Squad could easily be forgotten. Even though Ben Affleck doesn't feel there is any reason to be concerned given that the movie will be the combined vision of two very different directors, it is still a unique situation and what that is will be interesting to analyze once Justice League is released. At the end of the day, if it's a good movie, that's all that will matter to the fans.